During our tenth visit to San Francisco last June, we took the short walk one morning from our Noe Valley apartment to Bernal Heights, ascending the hill from Precita Park, having lunch at the Progressive Grounds coffee house and buying provisions for our evening meal at the Good Life Grocery before taking the surprisingly short stroll back to 28th Street. We enjoyed the superlative 360 degree views from the top of the hill and the ambiance of this “village within the city” so much that we vowed to base ourselves on our next trip in what has subsequently been dubbed the “hottest neighborhood in America”. That trip is now imminent. After a week’s skiing in Tahoe, we arrive on the first day of April (St. Stupid’s Day) at our Bernal cottage where we will be staying for the next two weeks. This will be the fifth year we have rented an apartment in one of the neighbourhoods. 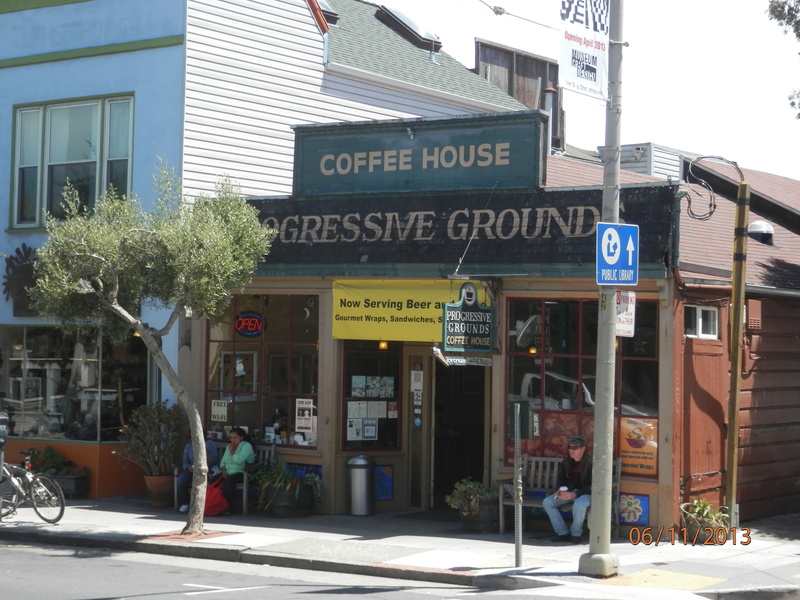 In addition to Noe Valley (twice), we have also stayed in Hayes Valley and North of the Panhandle (or the Western Addition to traditionalists). Although we will be doing some things that are unashamedly “touristy” (after all, it is those that attracted us to San Francisco in the first place), we have striven increasingly to “live like locals” when in the city. And a good starting point to achieve that aim is to stay in someone’s home (albeit their second one). No maids knocking at our door early in the morning anxious to clean your room, no loud conversations going on outside our room at three in the morning and no lift bells ringing or washer/driers humming at all hours. Our time has taken on a different, more relaxed, you might even call it ordinary, tenor, one that more closely mirrors our home life. Being in San Francisco has become such a familiar and habitual (in the best sense of the word) part of our lives, somewhere we spend more of our time than anywhere else, other than our permanent UK address. What has happened is that OUR version of San Francisco has shifted both geographically and metaphorically from the waterfront to the neighborhood we have chosen to live in for a few short weeks (oh, that it could be more). If all we want to do is “hang out” at the apartment in the morning, watch the news on KRON4 while catching up on household chores, before strolling out to a local café for lunch, followed by food shopping and a return to the apartment for a glass or two of wine on the outside private deck, then so be it. We might then have dinner in the apartment – or try out one of the local restaurants. Or we might decide to take a trip downtown and eat in Chinatown or North Beach. We feel no pressure to conform to the expectations of others, to be perfect tourists (if that is not an oxymoron), although, inevitably, as the trip draws to a close, the realization will again dawn on us that we haven’t seen and done as much as we would have liked! But what of our stay in Bernal? It would be disingenuous to claim that we will be spending the majority of our time in the neighborhood. But we will be exploring the celebrated stairways and gardens, not to mention every square inch of the hill itself, and patronizing the cafés, restaurants and stores (but, sadly, not Badger Books). And we could not visit without seeking out bargains at the Alemany flea and farmers’ markets. I will be posting photos and thoughts on my blog and other social networks throughout, and would welcome any feedback from neighbours. But, firstly, ou sont les neiges? My wife observed the other day that she hadn’t seen me reading my Kindle lately. I’ll confess that I hadn’t realised this was the case, especially as I had been steadily adding books to it over recent weeks. But she was right – I hadn’t sat down and read anything for any appreciable length of time since Christmas. What was the point, after years of agonising over the propriety of buying one in the first place, of not taking advantage of the opportunity it gave to read more widely and often? All I was doing was filling yet another bookcase – albeit a digital one – with more books I was unlikely to read (although I already owned some of them in print form). And then I remembered that one of the prime motives for finally succumbing to the evil lure of the e-reader at all was to enable me to take all the books I “needed” on vacation without compromising my luggage allowance. I had already been struggling with the dilemma of which guide to San Francisco I would take on our upcoming trip to the area, as well as which book I would take for leisure reading (not that I ever get beyond the first couple of chapters when I’m away, especially since now I devoted most “downtime” to my blog and other social networking). So how might I resurrect the ailing appliance? Well, it wasn’t much to look at for a start. The austere black cover I had bought for it, while practical and inexpensive, made it blend into the background in the office (a.k.a. the front bedroom). I’d effectively forgotten about it, except when I was browsing on Amazon. I needed, therefore, to make it look as appealing as so many of the books I would be obliged to leave at home. The dilemma was solved, however, by the simple addition of the last Grateful Dead sticker I had bought on Haight Street last June – cool, distinctive, colourful and exactly the right fit. Immediately, I wanted to delve inside and re-acquaint myself with my recent purchases. A case of definitely judging an e-book by its cover. Yes, the Complete Works of Shakespeare and the novels of Thomas Hardy were there as they should be. But, more importantly, the 2014 edition of San Francisco Not for Tourists and Gary Kamiya’s wonderful Cool Grey City of Love, and not forgetting Armistead Maupin’s latest and last Tales of the City novel, The Days of Anna Madrigal, were there waiting for me too. So I am actually “good to go” (note how I am already slipping into the Californian vernacular) after all, although I hadn’t realised it. An added bonus is that I had also loaded a couple of books that my wife might wish to read in the unlikely event that she should finish the supersized novel that she had already elected to weigh her hand luggage down with on the flight. So I’m now back into the groove of turning to my Grateful Dead infused e-reader when I have only a few minutes to spare – preparing the evening meal, sitting on a bus and even – no I won’t mention it – conducting business in the smallest room in the house (much more manageable than the Sunday Express my father used to disappear there with). And with declining eyesight, how great to be able to increase the font size of what I am reading! Now, where did I put the charger? Margate, on the north eastern tip of the Isle of Thanet in Kent, sixty four miles east of London, epitomises the rise and fall of the English coastal resort. A booming seaside town in its Victorian heyday, and still hugely popular as recently as the nineteen sixties, it declined into decay and dilapidation in the past quarter of a century. But now it is slowly emerging from the ashes with an ambitious regeneration programme designed to re-position the resort as an artistic and heritage destination. It was the association, during the eighteenth century, of seawater with good health due to its spa qualities that sparked an interest in the coastal resorts around Britain. Initially a fishing town, and a haven for smugglers, Margate capitalised on the growing passion for “taking the cure” in the sea by constructing, as early as 1805, bathing machines that allowed ladies to enter the water from its beautiful sandy beaches with the utmost modesty. Growth, however, was slow in the early decades because it took several hours to travel from London to the town and the cost was prohibitive for the average worker Moreover, accommodation provision was negligible. This all changed in the nineteenth century. Firstly, steamboat services reduced the cost and time of travel from London, with a discrete service operating to Margate by 1820. Grain hoys unloading their cargo at London docks would return to the town “laden with passengers”. Piers were built, initially to provide landing stages, but they soon became the places to be seen. The expansion of the railway network, along with the enactment of the Bank Holiday Act in 1871, put the resort within the reach of working class Londoners. For those who could afford a longer stay than the customary day trip, guest houses began to emerge, often in impressive Georgian and Victorian houses. Margate was invariably in the forefront of innovation and convenience for the holidaymaker, not least in being the first resort to provide deckchairs on its attractive, sandy beaches in 1898. 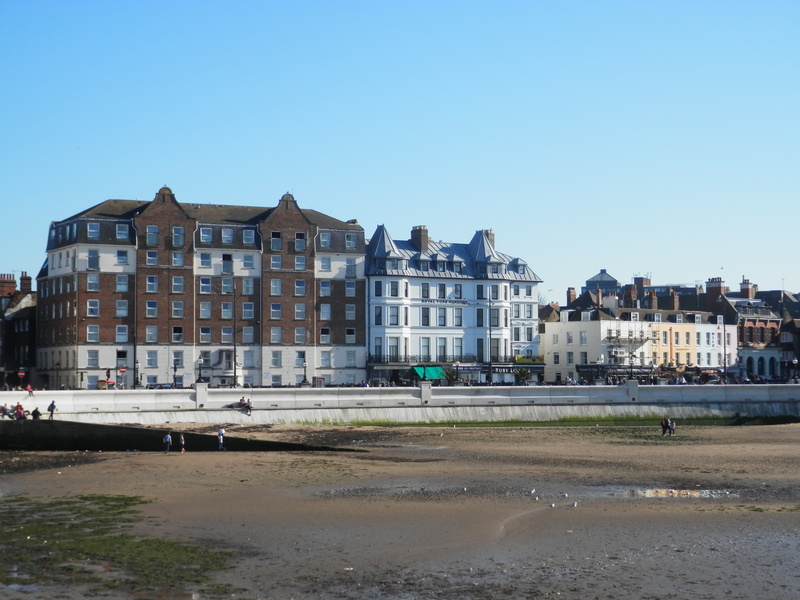 With improved transport links, fine sandy beaches and a carefree atmosphere, Margate was a highly popular holiday destination during Victorian times, welcoming, by 1879, between 16,000 and 24,000 people every day during the summer. Its popularity endured beyond the two world wars and well into the third quarter of the next century. Day trippers, often on works or club outings, would stream off the trains and coaches from the capital for a “day on the sands, donkey rides, cockle and whelk stalls, fish and chips, Punch and Judy and amusement arcades”. Tracey Emin, a Margate native and impassioned champion of the resort, speaks lovingly of her upbringing in the town, and recalls, in the late sixties and seventies, visiting the “Lido – a giant art deco half-moon pool with an array of diving boards”, and listening to Tony Savage playing the organ while “old ladies dance together to Tea for Two”. Thousands of striped deckchairs adorned the golden sands and the “Golden Mile would be a siege of people walking eight-deep with candyfloss and kiss-me-quick hats”. Every day from May to September was “full of golden sunshine and beautiful emerald green seas”. Carnivals, talent shows, bathing beauty contests, puppet theatres thrived and the Winter Gardens and Theatre Royal welcomed the major music hall and, more latterly, TV stars of the day. The jewel in the crown was the fifteen acre Dreamland Amusement Park. The site was formally opened in 1920 when, inspired by Coney Island, the mile long Scenic Railway wooden rollercoaster was unveiled, carrying half a million passengers in its first year alone. Other rides followed and the site was augmented, partly with investment from Butlins, by the construction of a huge ballroom, cinema, pleasure gardens, ice rink, zoo and Big Wheel. Purchased in 1981 it became Bembom Brothers White Knuckle Theme Park, reverting to the Dreamland name in 1990, and, with the addition of a number of “high tech” rides, it was one of the top ten most visited tourist attractions in the UK. Once it lived up to its name………maybe again? But a lethal combination of longer paid holidays, inexpensive package tours to Spain and, more latterly, the rise of low cost airlines, spelt the end of the halcyon days of the domestic seaside resort. British tourists could now afford to travel abroad where sunshine was guaranteed and the cost of living was often cheaper. Margate was especially badly hit by the dash to the Med. As fewer visitors stepped off the trains, much of the Victorian infrastructure – piers, sundecks and Grade II listed buildings – were blown up or left to rack and ruin. Natural disasters also put paid to much loved icons, with the 123 year old pier perishing during a violent storm in 1978. Many of the large guesthouses, of which the town was once proud, were split up into bedsits, others became care homes or social housing, inhabited by asylum seekers, refugees and the elderly, placed there by local authorities from as far afield as London. As the number of visitors dried up, local industry declined, resulting in abnormally high levels of unemployment and social deprivation for the region with the accompanying increase in crime. The sale of Dreamland in 1996 led to many of the rides, including the Big Wheel, being removed to other parks or sold off. In 2003 the new owners announced that the park would close and the land sold for retail and commercial use. Its closure came two years later, sold for a fraction of its real value. Around a third of the Scenic Railway, now Grade II listed and the second oldest in the world, was severely damaged in an arson attack in April 2008. Despite having its Listed building status upgraded to Grade II* (buildings of special architectural or historic interest) the Dreamland Cinema also closed in 2007, replaced, inevitably, by an out of town multiplex cinema. Even the famed Main Sands progressively lost their glamour. The only remaining donkey ride licence holder in the resort gave up his licence in 2008, signalling the end of a service that had thrilled small children for more than two centuries. And as recently as June 2010 year businesses complained that the “stench of rotting seaweed” on the seafront “driving away tourists”. 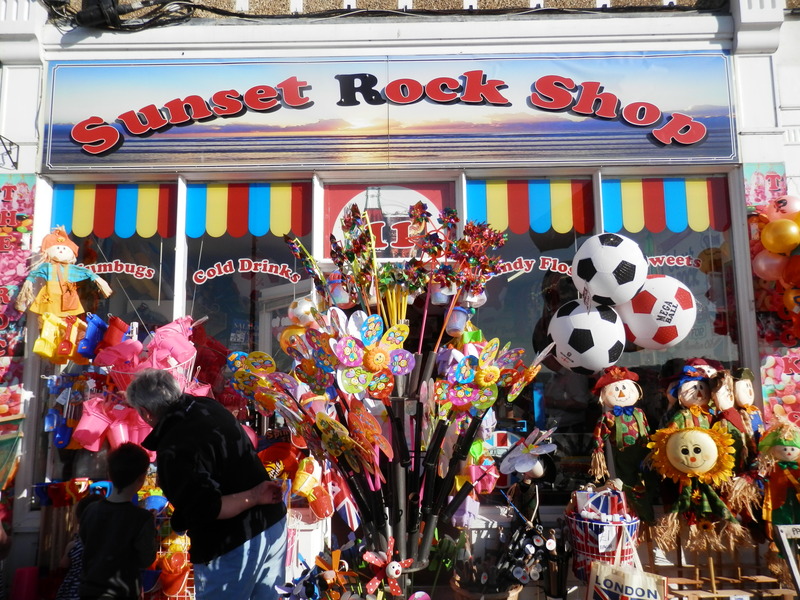 To compound the frustration for Margate, its neighbours Broadstairs and Whitstable , have both enjoyed a renaissance in recent years, trading primarily on their respective Victorian and “foodie” identities. That said, the typical visitor to those resorts was always a little more sophisticated than the traditional working class visitor to Margate. 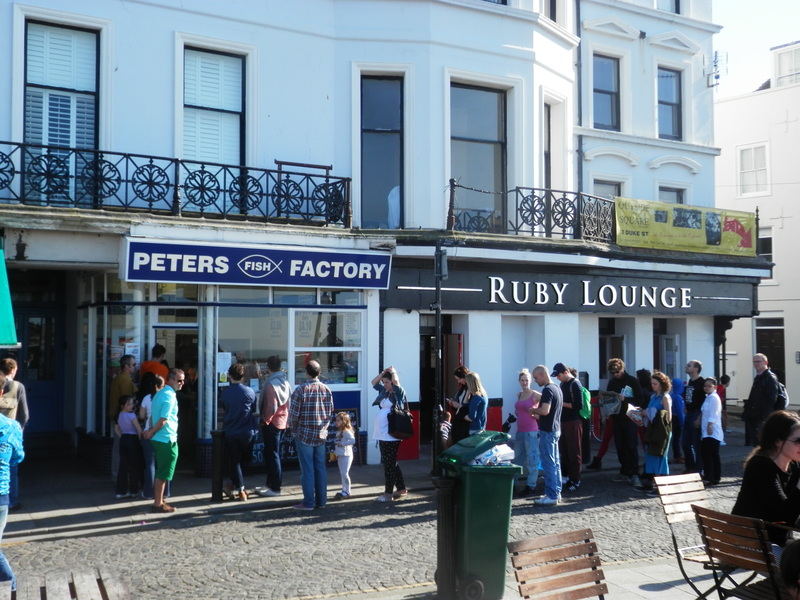 In order to remain a viable tourist destination, the challenge for Margate is to enhance and, where necessary, revamp the unique and appealing parts of its product to meet changing tastes. If it can develop new attractions and facilities that satisfy the modern holidaymaker, as well as entice customers craving a lost past, then even better, especially in a period of austerity. And despite its recent troubles Margate still has outstanding natural features that ought to be marketed to the hilt. The beaches are excellent, in particular the lovely sweeping curve of the Main Sands, which has consistently achieved Blue Flag status, though controversially and, it is anticipated, temporarily, it was removed in August 2010. Moreover, despite their current shabbiness, many of the remaining Georgian and Victorian houses along the seafront have an air of gentility that, with careful renovation, could light up the promenade again. And the Old Town, with its narrow lanes and streets, also exudes a charm that could be better promoted to attract the missing tourists, though the preponderance of boarded up shop fronts makes it hard for the visitor to look beyond the current down at heel atmosphere. There are two major developments, part of a wider regeneration project, which might just put the town back among those premier seaside resorts such as Blackpool and Bournemouth that have successfully ridden the storm. Dreamland is Margate’s core, talismanic built attraction. There is now hope for its future. Rejecting the previous owners’ desire for it to become a retail and commercial site, local people and Government have secured its continued use as a leisure facility. The aim is to redevelop it as the world’s first amusement park of historic rides and attractions, the centrepiece of which will be a renovated and restored Scenic Railway. Some vintage rides have already been donated, including many of the unique rides from the defunct Pleasureland Southport amusement park such as the 1940s Catapillar Ride, King Solomons Mines rollercoaster, workings from the Ghost Train and River Caves and Hall of Mirrors. The Junior Whip from Blackpool Pleasure Beach and the now-demolished water chute at Rhyl are also destined for new homes on the North Kent coast. The success of Dreamland’s new incarnation when it opens will be fundamental to the town’s financial and spiritual well being. Art and culture stand alongside heritage at the heart of Margate’s regeneration plans. Conceived as a new twist on its tourist offer the £17.4 million Turner Contemporary art gallery is located in a plot of land adjacent to the harbour. It is already having the same positive impact as the Tate Gallery in St Ives in Cornwall has had. J.M.W. Turner said that Margate had the “loveliest skies in Europe”, and painted more than a hundred scenes to prove his point. The controversial gallery named in his honour plans to exhibit work from a variety of artists, including that of Tracey Emin. The gallery is designed not only to attract high paying visitors but also to reduce the town’s reliance on the summer season by providing year round exhibitions. Margate has endured spectacular growth, maturity and depressing decline over the past two hundred years. Restoring it to its former glory will be a daunting task but, through the planned marriage of art and heritage, spiced with nostalgia and allied to its wonderful natural assets, it deserves to succeed. And on a glittering March afternoon like that on which I wrote this piece, there are fewer finer places to be.